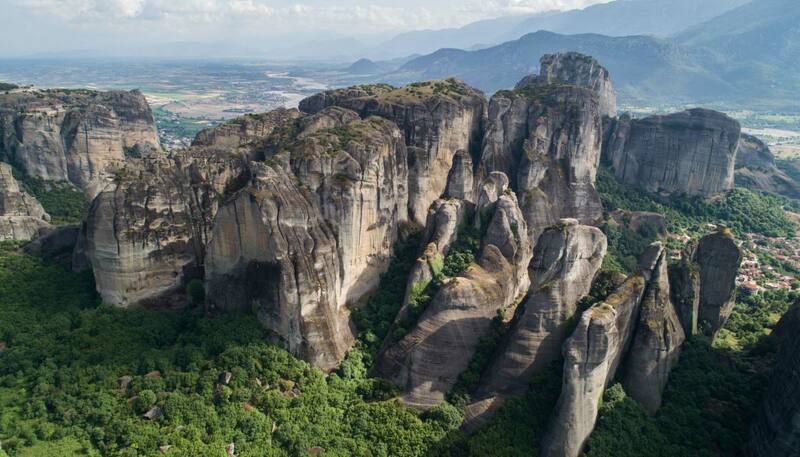 Meteora is an area where an ancient monastic community and a rare geological phenomenon of huge rock pillars coexist in absolute harmony. Special guided tours are offered where one can reach the Monasteries via rocky paths among the rocky “chaos”. Activity lovers can take the chance to meet this extraordinary UNESCO World Heritage Site by walking a trail known by the locals. Enjoy the unique views from the top of the rocks and learn by professional mountain guides about the history and the geological significance of the area. Guests can ask our concierge for more information on these guided tours. Located in the central region of Greece, Meteora is home to 6 monasteries and nunneries precariously perched atop massive rock pillars. 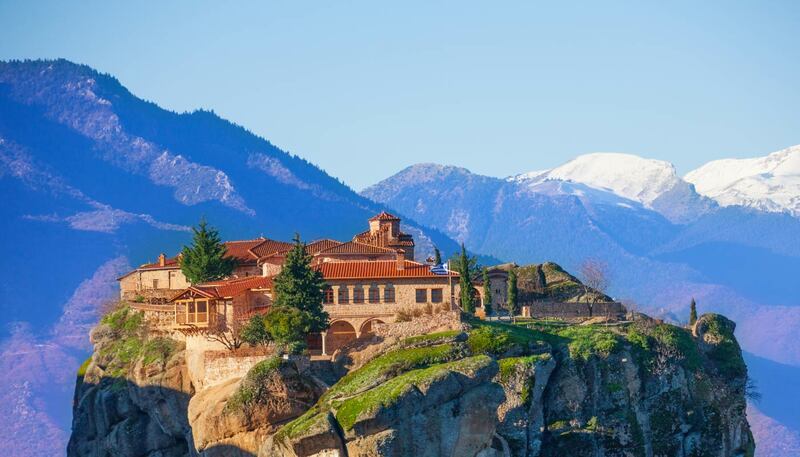 What’s truly amazing is that these 6 monasteries are still active sites of worship, and while car parks and stairways now replace baskets and ropes, visiting Meteora feels like taking a giant leap back in time. Our concierge will be happy to share information about opening & closing hours for each monastery. 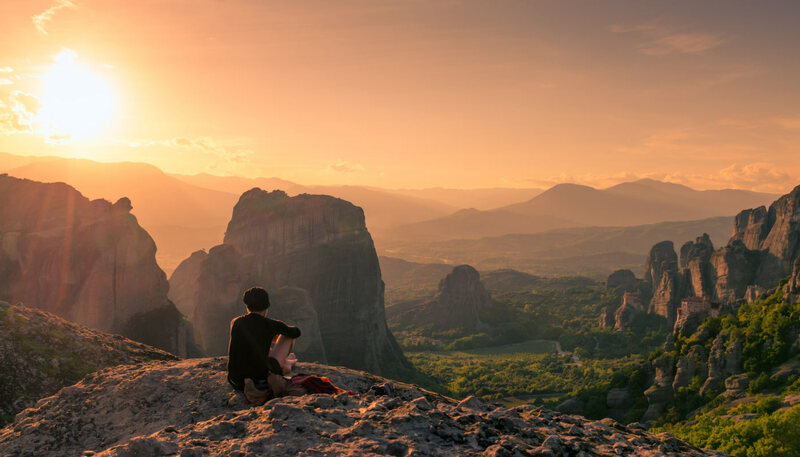 And as the sun slowly begins to descent, getting ready to touch on the mountain ridges this guided tour we’ll bring you high up on the rocks of Meteora, on a magical spot to enjoy the most captivating sunset views. Up there, sitting on the edges of cliffs you will feel the evening breeze blowing through these giant cliffs. Allow your senses to explore moment by moment the dimming of the light as the sun disk sinks behind the mountains. This will be a perfect way to end a beautiful day at Meteora with an awe-inspiring tour to be remembered forever! 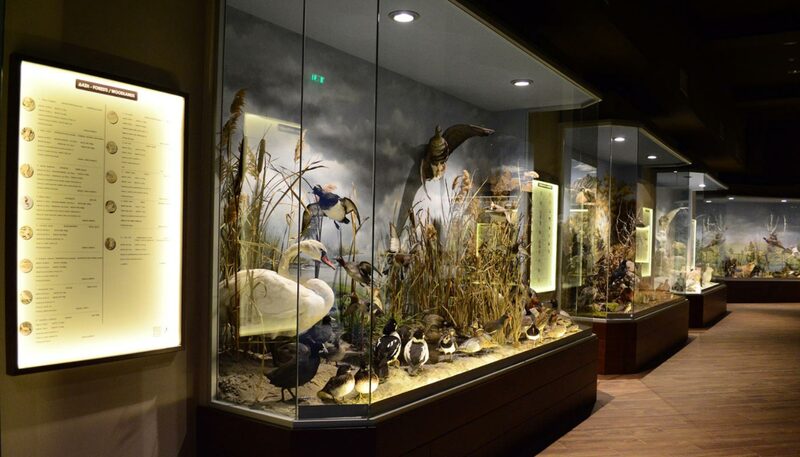 The museum contains a rich collection of birds and mammals as well as a comprehensive mushroom museum, the first of its kind in Greece. The museum houses approximately 300 exhibits of animals and several dozens of the main species of mushrooms. The Natural History Museum of Meteora and Mushroom Museum is proposing an amazing experience: Truffle hunting under the rocks of Meteora! In the beautiful and unknown forests of the region, near the city of Kalampaka, visitors have the opportunity to enjoy a unique truffle hunting, to taste a delicious pasta dish with truffles that are found by truffle dogs, to visit the Museum, to try various mushroom products and to try an exceptional local wine. Guests can ask our concierge for more information. Activity lovers can visit the area of Aspropotamos to go rafting down the homonymous River. Relax and enjoy the stunning scenery and abundance of wildlife of Pindos mountains range as you raft on low to moderate level rapids. 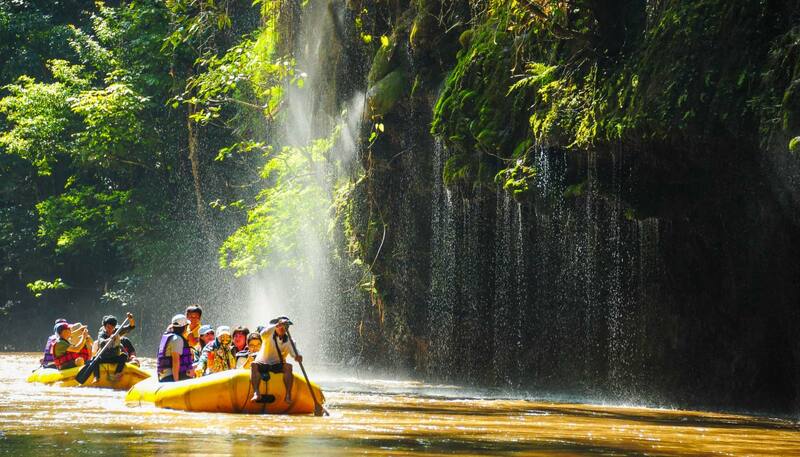 Perfect fun whether you’re a seasoned rafter or it’s your first rafting trip. Guests who are interested in the guided tour can contact our concierge for more information.